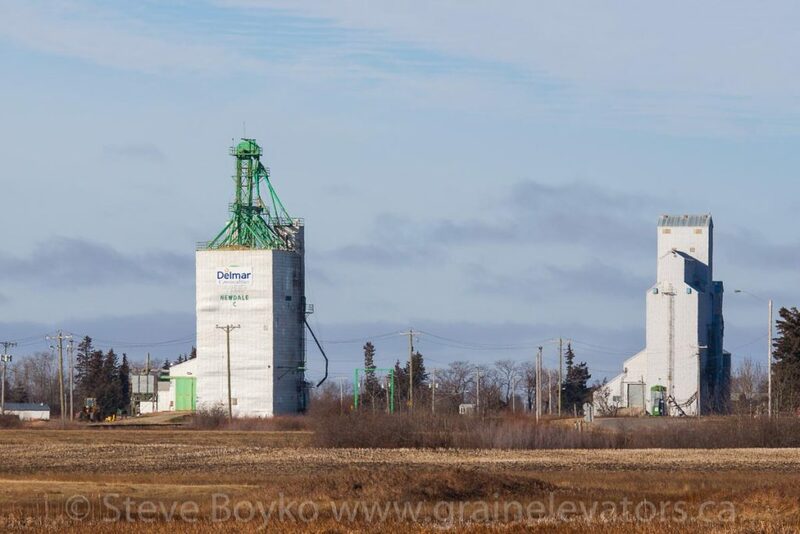 Grain elevators in Newdale, Manitoba, Nov 2014. Contributed by Steve Boyko. 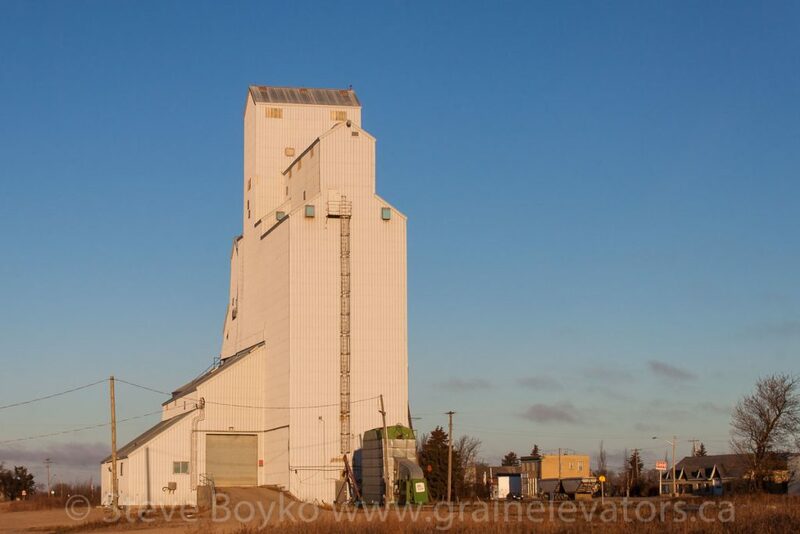 There are two grain elevators in Newdale, Manitoba. 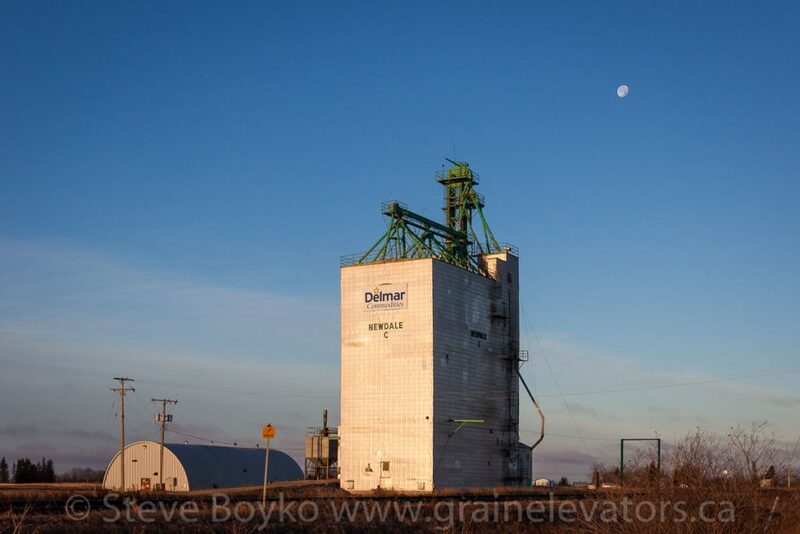 The first grain elevator is owned by Delmar Commodities, and is the former Manitoba Pool “C” elevator. This elevator has a capacity of 2,750 tonnes. Former Manitoba Pool grain elevator in Newdale, Manitoba, Nov 2014. Contributed by Steve Boyko. The second remaining Newdale grain elevator is an ex UGG grain elevator. Former UGG grain elevator in Newdale, Manitoba, Nov 2014. Contributed by Steve Boyko. Note that it is a larger elevator with a small elevator beside it, which was used as an annex. The smaller elevator was built in 1925. The larger elevator was built in 1983. This elevator has a capacity of 4,700 tonnes. It is not clear whether this elevator is used or not. 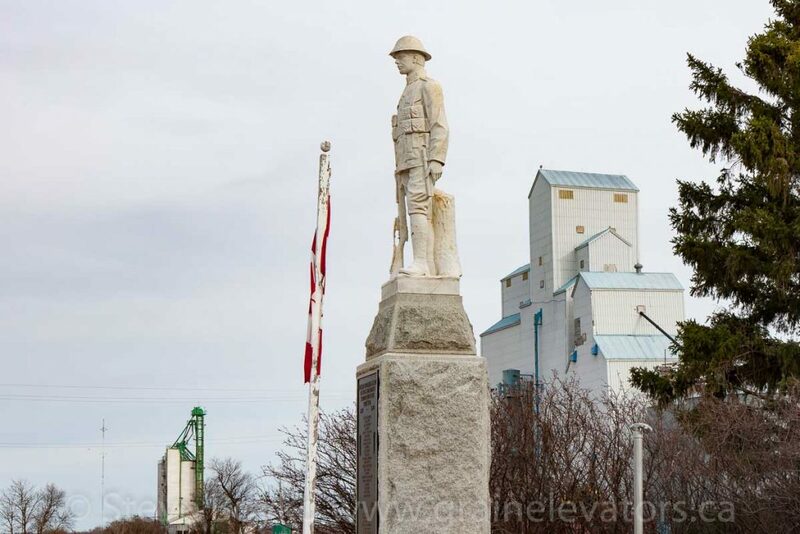 Statue and grain elevators in Newdale, Manitoba, Apr 2017. Contributed by Steve Boyko.